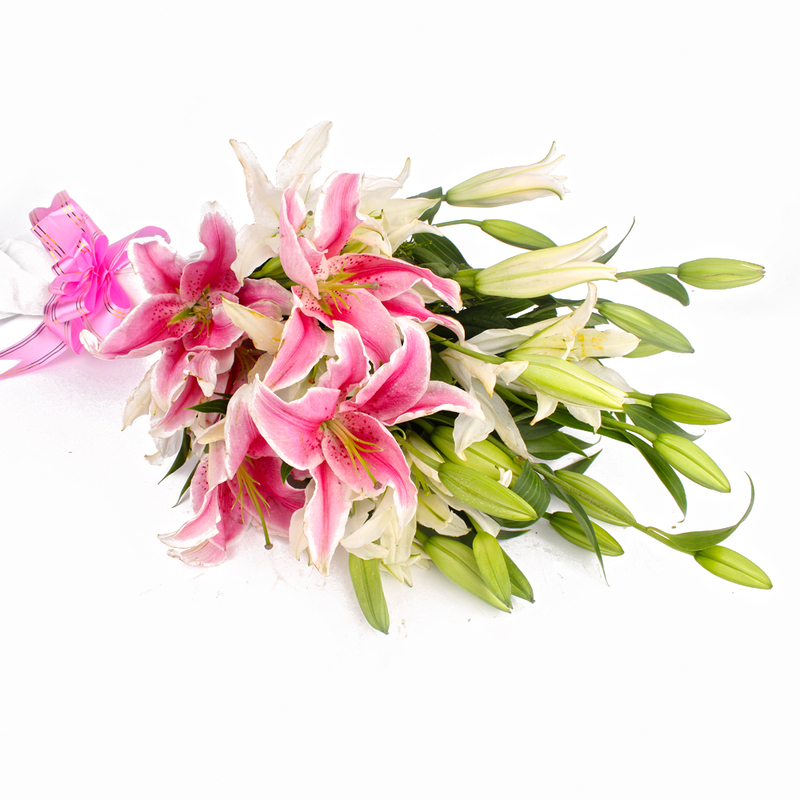 Product Consist : 15 Stem of Lilies in Pink and white color with green fillers in Tissue Paper Wrapping with Ribbon Bow on it. 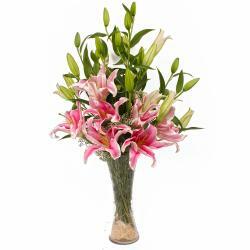 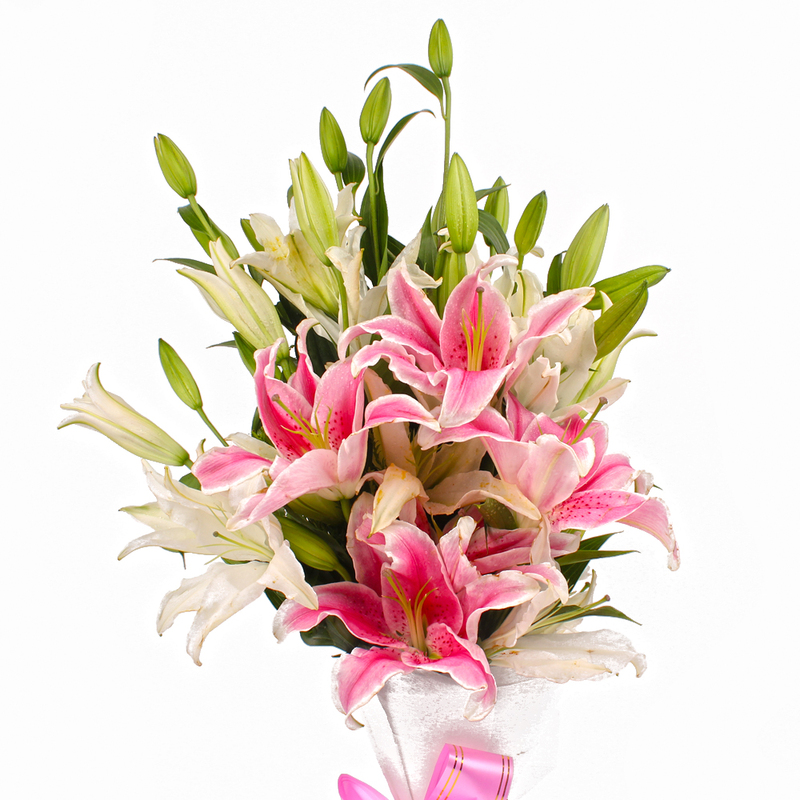 This Bunch of Lilies looks resplendent in White and Pink and will definitely be an elegant acquisition for special occasions like Birthday, Anniversary, Parents Day, Boss Day and many more occasions. 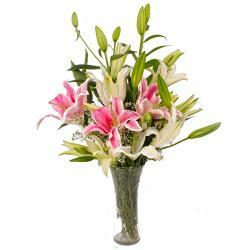 This Lilies also comes with special Tissue packing coupled with a matching ribbon bow on top for added effect. 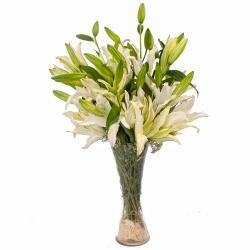 This should be one of the most soothing gifts you will ever find online and can also be a good option for festive occasions like Bhai Dooj or Diwali. 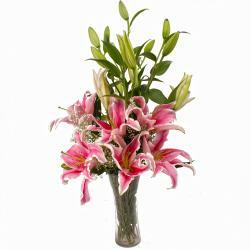 Product Contains : 15 Stem of Lilies in Pink and white color with green fillers in Tissue Paper Wrapping with Ribbon Bow on it.